if you 're connected to free Adobe Document Cloud services. Adobe Reader DC is set to be automatically updated (if your device is connected to the Internet), to ensure that cloud and desktop features and functionality remain synchronized and compatible. For that reason, Adobe, doesn't give the user the ability – through the program's interface – to choose how the new updates will be delivered to the computer or to totally disable the Adobe Reader DC automatic updates. 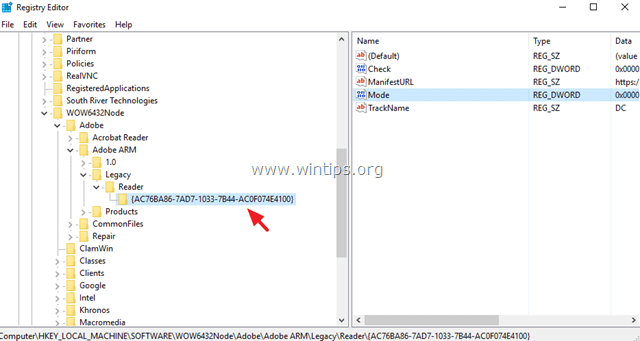 In this tutorial you 'll find detailed instructions on how to totally disable or turn off Adobe Reader DC Automatic Updates. 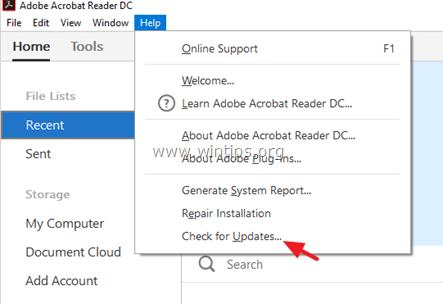 How to disable Adobe Acrobat Reader DC Automatic Updates. Step 1. Disable Adobe Acrobat Update Task. 3. 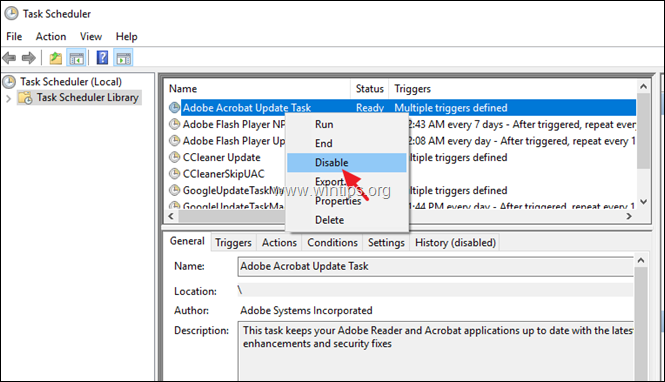 Click at Task Schedule Library at the left and then, at the right pane, right click at the Adobe Acrobat Update Task at select Disable. 4. Close Task Scheduler and continue to the next step. Step 2. Disable Adobe Acrobat Update Service. Method 1. 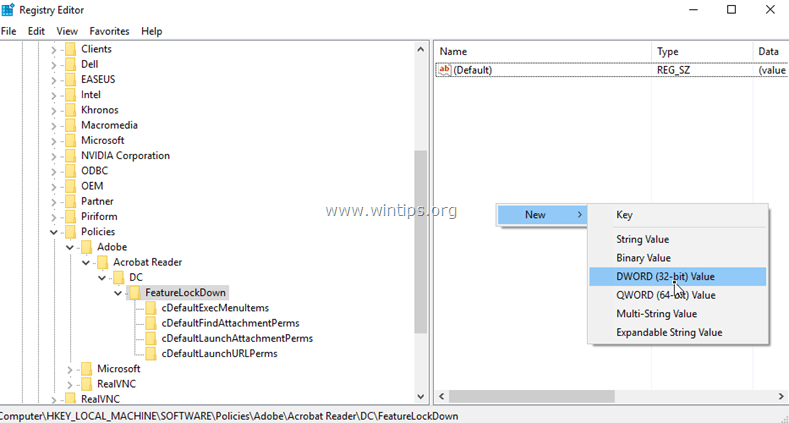 Disable Adobe Acrobat Reader DC Automatic Update through Services. Method 2. 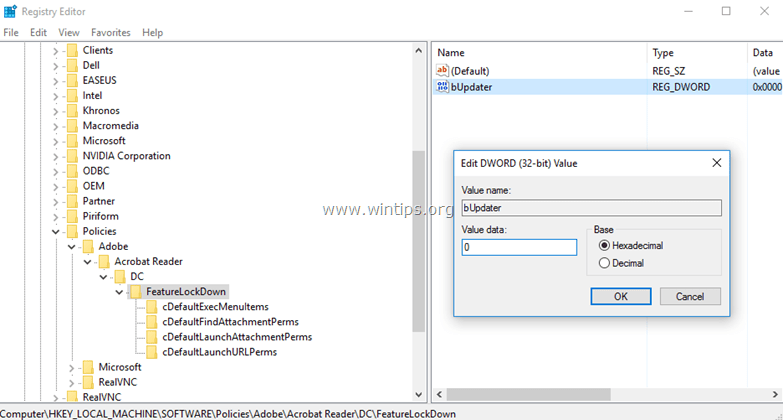 Disable Adobe Reader DC Automatic Updates through Registry. 3. 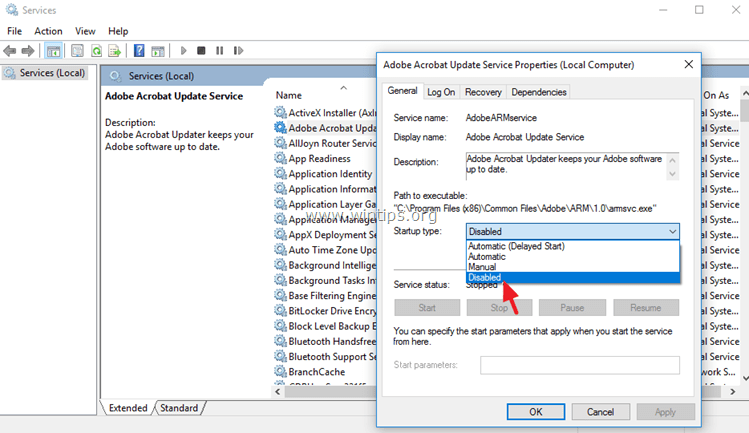 Double click to open "Adobe Acrobat Update Service" properties (AdobeARMservice). * Note: If you want to also remove the Check for Updates option, from the Adobe Reader's DC menu, then follow the steps mentioned at the end of this article. Method 2. 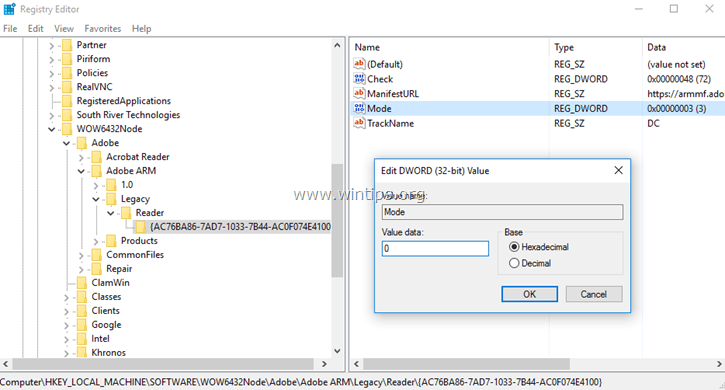 Disable Adobe Reader DC Automatic Updates via Registry. 1. 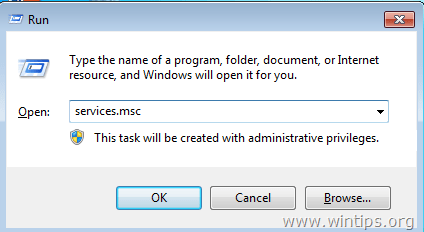 Press the Windows + R keys to load the Run dialog box. 3. At the right pane double click at Mode value* and at the Value Data box, change the value data from 3 to 0 (zero). 4. Close Registry Editor and restart your computer. * Note: If you want to remove also the Check for Updates option, then follow the steps below. 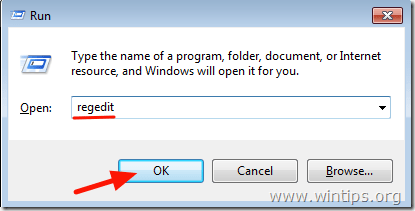 Extra: Remove the "Check for Updates" option from Adobe Reader's menu. 2. Right click at an empty space on the right pane and select New > DWORD (32-bit) Value. 4. Double click at the bUpdater value and set the Value Data to 0 (zero). 5. Close Registry Editor and Reboot your computer. Do you remember that thing call ***personal*** computing that was a rejection of "the evil empire?" And just *what* has Adobe become? A wannabe empire? Or just evil? It does not work to me… Tried both ways: at the beginning it looks ok, then after a couple of hours the automatic update starts. Thanks for having something that actually works with the CURRENT version of Acrobat Reader. And thanks for the clear instructions, too, but being CURRENT is far more important. Excellent instructions … I like to be current too, but since the 14/02, I don't really have a choice. All our workstations started saying "insufficient data for an image" when opening jpeg2000 compressed scanned documents. Downgrading to a previously downloaded version is the only choice for now. Many thanks for the excellent job, clear and precise! 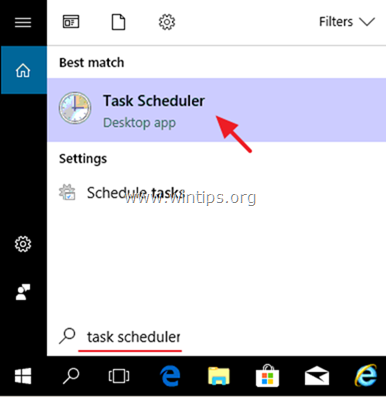 One annoying thing, installing a MSP file (update) will re-enable the service and also recreate the Task Schedule. Not sure if it will set the Mode to 3 again though. Just found this, and have to test that. In a VDI Golden Image environment this automatic updating of Adobe products is bloody annoying! Amazing! Thank you so very much for the clear and easy instructions!